MISSION: To help students succeed by providing a free, anonymous place to shop for items that meet their basic needs. Student Success Stores started in 2016 after a teacher, Nicole, who was providing supplies for students in her classroom, realized there was a greater need across classrooms in Central Ohio. Nicole recruited two of her friends to help her and Student Success Stores was started. 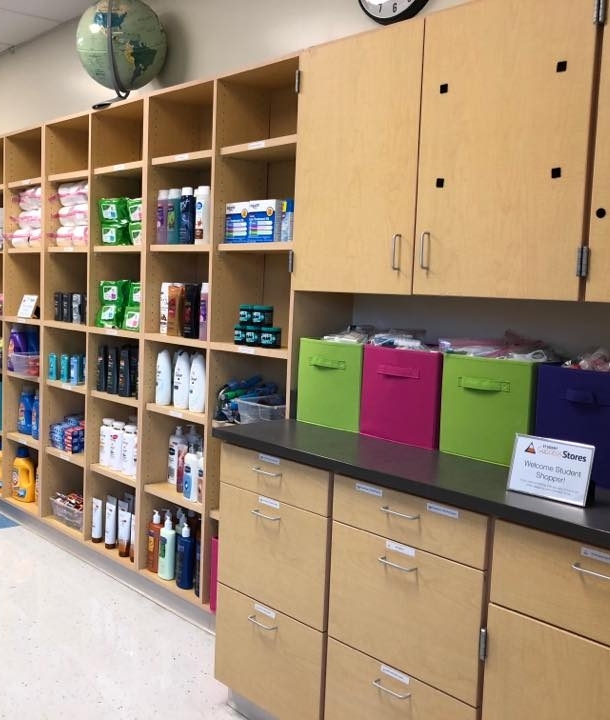 Student Success Stores was started with the mission to provide free school supplies and hygiene products to students in need across Central Ohio. This not only helps students succeed, but helps teachers and schools who don’t have the funds to buy supplies for their students. After two short years, Student Success Stores has expanded into five Columbus Public Schools: Champion Middle School, Columbus Global Academy, Mifflin Middle School, South High School and Wedgewood Middle School. In these schools we’ve distributed thousands of school supply and hygiene items helping hundreds students. But, we’re still far from our ultimate goal - to impact students in 20 schools in Central Ohio within the next five years.